In 1996, The United Nations adopted The Comprehensive Nuclear-Test-Ban Treaty (CTBT), which ‘bans nuclear explosions by everyone, everywhere: on the Earth’s surface, in the atmosphere, underwater and underground.’ This international peace and security treaty still needs signatures from 8 key countries to remove fingers from nuclear buttons. 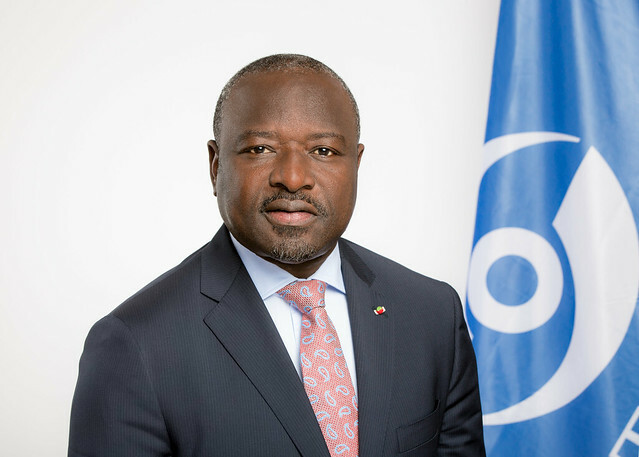 The Preparatory Commission for the Comprehensive Nuclear-Test-Ban Treaty Organization (CTBTO) was founded in 1996 to promote the Treaty and the build-up of a powerful, global verification system to detect explosions. Dr. Lassina Zerbo heads this 260-staff, United Nations affiliated organization with an annual budget of $130 million. First of all, tell me a little bit about yourself. I am from Burkina Faso, where I completed my education up to my first degree before travelling to France to study Geology and Geo-Physics. After my studies, I went on to work in research and development for new technologies in resource exploration. I worked for BHP Billiton and Anglo American. At a certain point, I realised that other avenues of employment were open to me. So I started to look and came across the Comprehensive Nuclear-Test-Ban Treaty Organization (CTBTO) and saw that they were looking for geophysicists. I said to myself “why not try?” and eventually found myself in the position of Director of the CTBTO’s International Data Centre. Nine years later I was elected as Executive Secretary. I sometimes describe myself as a bit of an anomaly in the system. When I applied for the job as director of the International Data Centre, it was my first ever application to a post in an international organization! What made you decide to change from a purely scientific path to moving into a role which combines science and diplomacy? I joined Anglo American in South Africa right after the Apartheid period. It was a challenge for me scientifically, technically and also socially because the emphasis was very much about proving myself and justifying why I was there. There might otherwise have been a perception that I was hired only because they were trying to promote black Africans. This gave me a strong motivation to prove myself. I was constantly fighting against the notion that I wasn’t capable. In fact, I’ve found that the greatest pleasure in my life has been to do what people assume I cannot do. After spending 14 or 15 years in the mining industry, I decided I wanted to try something else. I wanted to stop working in a role that was chiefly to help international companies reach their bottom line, and instead find something that would help communities and society. What does your day-to-day work as Executive Secretary of the CTBT involve? It’s a combination of science and diplomacy. The amount of scientific expertise that we work with is unprecedented. Some people have probably never heard of the technology that we are using; infrasound, radionuclide, seismic and hydroacoustic. You don’t find people walking around on the streets with expertise in these technologies. Exchanging with the people that we work with has helped me to broaden the scope of my own knowledge in science and technology. 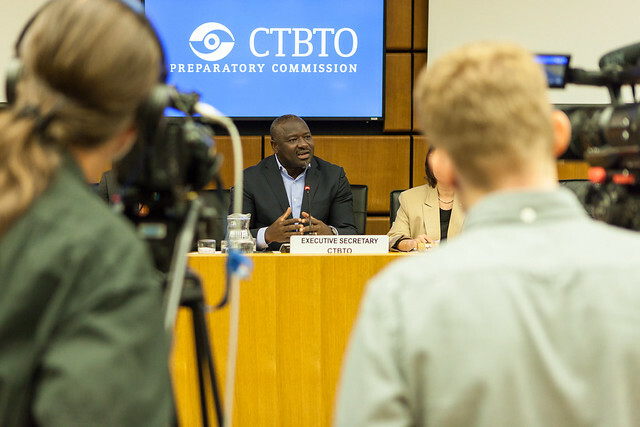 The work that the CTBTO does is also about understanding how science can drive policy, which will eventually enable us to reach our goal of putting an end to nuclear testing. We think about what governments need and what international communities need in order to get rid of nuclear testing. They need a verification regime based on a trusted international monitoring system. They need this to be codified in a treaty to which all states adhere. But in order to build confidence and compliance, we have to ensure that there is a solid scientific basis to nuclear test monitoring and detection. The combination, therefore, of science and diplomacy is at the centre of my work. I think I was fortunate to come from a scientific background because it helps me to drive the policy by proving that the science works to serve and improve compliance with the treaty. I’m probably one of the most passionate people on earth about the CTBT and the science behind it. Sometimes I even say that after my work at the CTBTO has ended, it will be time for me to retire because I can’t imagine a more rewarding role! I really feel blessed to serve as Executive Secretary. Nuclear tests have featured heavily in the news over the past few months. How has that affected your work? I joined the CTBTO at the end of 2004. The first major event to make use of our monitoring system data was the Indian Ocean tsunami that year. There had been no nuclear tests since the 1990s, but we were finding new and exciting uses for the system, such as tsunami warning. Two years later, North Korea conducted the first nuclear test of the 21st century and there have now been six in total. It has been my responsibility, first as International Data Centre Director and then as Executive Secretary, to make sure that reliable data on each test is shared with Member States in a timely manner. And it is also my responsibility to interact with the media and the broader public to explain how we detect nuclear tests and how important it is for the CTBT to enter into force. I do think it is easier for me to interact with journalists about the work of the Organization because I understand both the scientific and diplomatic aspects of our work. Are you optimistic that the treaty will be ratified by the remaining countries soon? My level of optimism fluctuates with the changes in our world and the uncertainty of our world. It might surprise you to hear that I am actually more optimistic because our world is so uncertain. In an uncertain world, things change quickly and drastically in ways that no one can predict. I certainly do not subscribe to the view that the Treaty will never enter into force. There is an emerging situation right now where some of the most relevant countries have announced that they might sit around the table and talk. I have always maintained that the only real way to deal with nuclear non-proliferation is by talking to each other. The fact that there is now some movement in this direction leaves room for optimism. Young people also help me to stay optimistic. I love the potential of today’s youth. They are leading the world and leading our issues using their own communication channels. They freely comment and begin to shape the world of the future through their use of social media. They are not controlled by what the media says, they control it themselves. The next generation must be at the heart of what we do. They are telling us about the world that they want us to prepare for them and they are working to prepare it for themselves. Why do you use social media as part of your work? What role does it play? It took me some time to warm to the use of social media. Eventually, Kirstie, our Public Information Officer, convinced me that we needed to start using it. Now I can’t live without it!! My wife will tell you that the first thing I do in the mornings is read Twitter to see what people are talking about. At the International Data Centre, the reliability and security of data are very important. I was concerned that by putting our information on social media we ran the risk of undermining this. Now that I have embraced its use, I shock the international community by informing people about nuclear testing through Twitter. Before social media, we would formally communicate to States following a potential nuclear test, and outreach to media would follow later. But the world has changed. If we don’t tweet about events as soon as they happen, some people demand to know if we are taking action or not. If an event happens at 2:30 am and we don’t react until 10 am, this is no longer good enough. The international community needs to know that we are the on top of the information and therefore we strive to be the first to provide information on any events that we come across. In that way, social media has made a real difference to the way that we work. Do you have a strategy for how you go about posting on social media? It is you who posts or do you have a team to help you? I like to control my Twitter feed because I want to make sure that the message going out is my message. 95% of the tweets that go out come from me. However, Kirstie has been very helpful in helping me understand how to make sure the image and the message are right. Sometimes it takes me hours to write a tweet because you have to turn it upside down and consider all of the ways it could be interpreted. I think it’s an exercise that’s good for the mind. It keeps me young! And who doesn’t want to stay young? I also encourage all of the people who I work with to get to know Twitter and to make it part of their work. I asked my Directors to lead by example and now many of the staff in the organisation are using Twitter. It means that we have been able to shed light on our activities and share the work of our staff with the world. I can then use my presence on Twitter to share what staff are saying with a wider audience and make their efforts more visible. I have a strong following of journalists on social media, which helps our work to be picked up by mainstream media channels. Can you remember any particular tweets that have had a lot of engagement? One notable example is a tweet referring to the disappearance of the Argentine submarine San Juan in in November 2017. I think one reason for this was because it shared information that inspired a lot of emotion in the people who were affected by the incident. Just like with tsunami warnings, our monitoring system has many uses. We picked up data that could indicate the potential position of the submarine, and this gave hope to those people. I received messages from the fiancée of one of the crewmen. She was asking for more information. Of course, she had no idea whether she would see him alive or not but she just wanted to know what was going on. The information that we released helped reassure her and people like her that they had not been forgotten. Tweets of this nature are important because they are linked to people’s emotions. I used to think that what I was tweeting about was purely technical, but I’m often reminded of the need to keep the human factor in mind. To finish off, how you feel about being a member of the UNSocial500 leaderboard? Do you think it has a positive effect on how you approach social media? Absolutely! It has a positive impact on me through encouraging me to keep my place on the leaderboard. It also allows me to see myself as part of a community that influences society on important topics – and for us that means putting an end to nuclear testing. 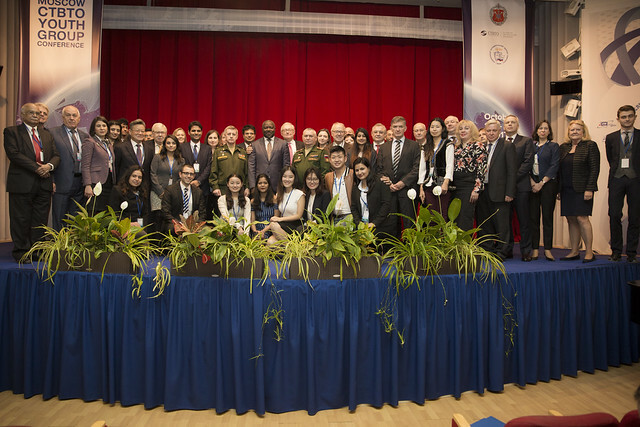 One real advantage of being part of the UNSocial500 is that it will hopefully help people to understand that the CTBTO is one of the UN’s affiliated agencies. It’s great for the CTBTO to be so high on the leaderboard alongside some of the UN’s most well-known leaders. I’m sure it will also encourage other members to engage with us and learn more about what we do.